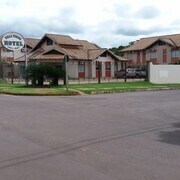 This hotel is in Navirai. Heading to Navirai? Explore Navirai with Expedia's Travel Guides to find the best hotels, city breaks, car hire deals and more!